A small sample of the rat traps manufactured by students. We would like to thank Simon Croft for taking up this project with such enthusiasm and passing it on to the students. 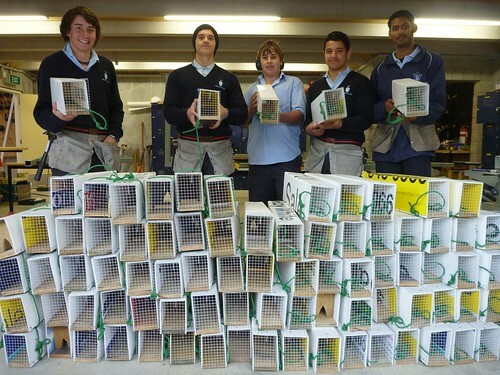 Tom Strawbridge, Mitchell Sullivan, Patrick Struthers, Jack Turu and Kunal Sen with some of the traps they have made for use in the Brook Waimarama Sanctuary.